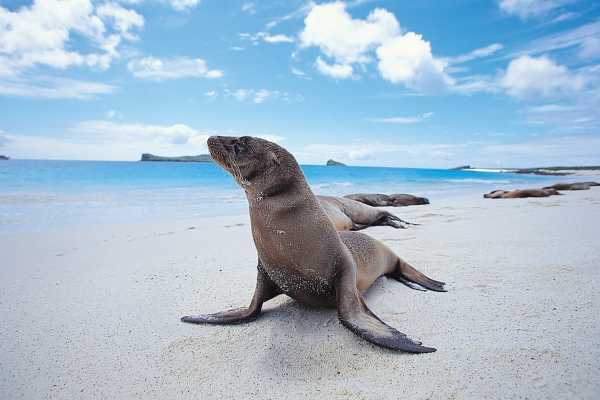 Around 70,000 tourists visit the Galapagos Islands every year, making them Ecuador’s most popular tourist destination. Of the 30 islands only 4 are inhabited by people. Due to the islands’ climate it is possible to see the many species of animals unique to the Galapagos Islands throughout the year. However, there are still two seasons caused by the currents around the islands. In the cool season (July to December), the weather is fresh due to the southeast winds and the Peru Current. The waters can get quite cold and it can also be quite misty. However, the cool season is also the dry season. The warm and wet season is from January to June, when the warmer currents from Panama cause a water temperature between 20 and 26 degrees centigrade. Air temperature can be 30 degrees centigrade or more. 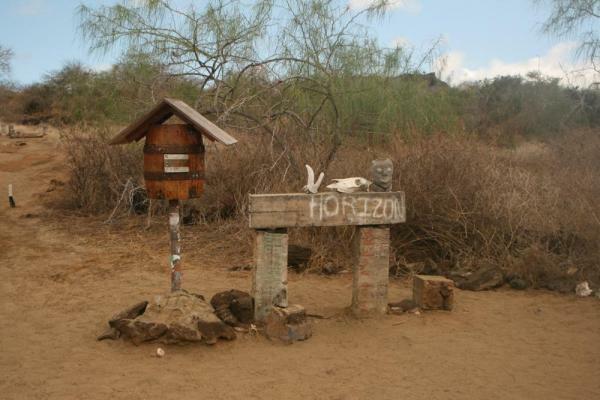 There is not much knowledge about the first inhabitants of the Galapagos. It is believed that the first visitors were the Chimu people and the Incas from the mainland of South America in the 15th century. The first recorded arrival, however, was on 10 March 1535 when Tomas de Berlanga, a Spanish bishop, travelled from Panama to Peru and landed by accident on the islands. The report he gave to King Charles V is the first description we have of the fearless animals of the islands. 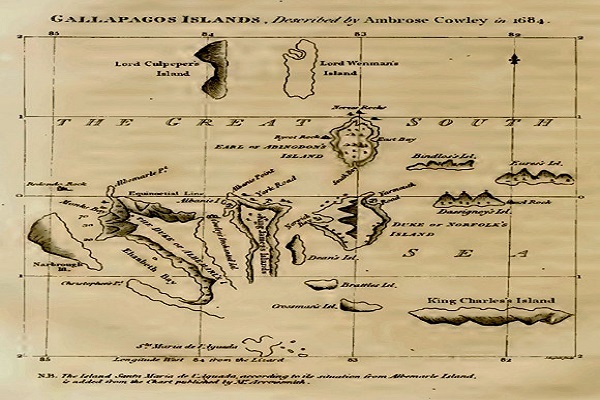 The first map of the Galapagos Islands was made in 1685 by Ambrose Cowely, who also named the individual islands. Despite this map, however, sailors still had difficulty locating the islands due to strong currents. The islands became known as Las Encantadas because sailors were convinced that the islands changed position. William Dampier and Woodes Rogers made the archipelago better known to other European seamen who ventured into the Pacific in the 17th and 18th centuries. Whaling was a big business in the first half of the 19th century. The demand for oil, especially in British industry, meant that whalers had no regard for the preservation of the natural life of the Galapagos, and the constant hunting decimated the whale population. 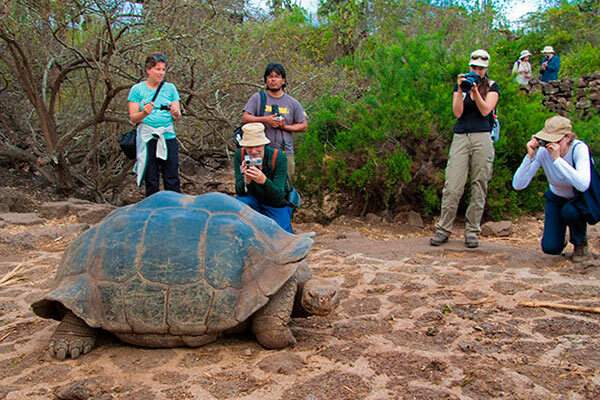 The fascination with giant tortoises, seen for the first time by many people, meant that almost 200,000 giant tortoises left the islands on the many ships that began to frequent the Galapagos. 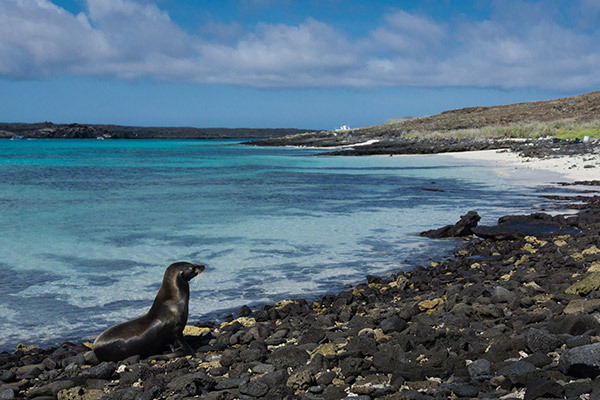 In 1832, Ecuador proclaimed sovereignty over the Galapagos Islands. At this time only few people lived there. The Ecuadorians tried to establish some form of industry on the islands, but failed due to a lack of organisation and sugar and growing orchilla. Fishing and farming became a way to survive on the 4 larger islands, Santa Cruz, San Cristobal, Isabela and Floreana. The Galapagos Islands gained international importance for the US and Latin America after the construction of the Panama Canal. In World War II, it became necessary to protect the entrance to the Panama Canal and strategically, the Galapagos Islands were the best place to have a military base. Ecuador therefore permitted the US to build an airfield on the island of Baltra. After the war, the base became Ecuadorian again and is now the main point of entry to the National Park. Charles Darwin arrived in 1835. Here he began his evolutionary research, which led to the publication of his controversial novel ‘The Origin of Species by Means of Natural Selection’. He spent 5 weeks on the islands collecting and documenting species for his studies, but it wasn’t until 1859 that the book was published. 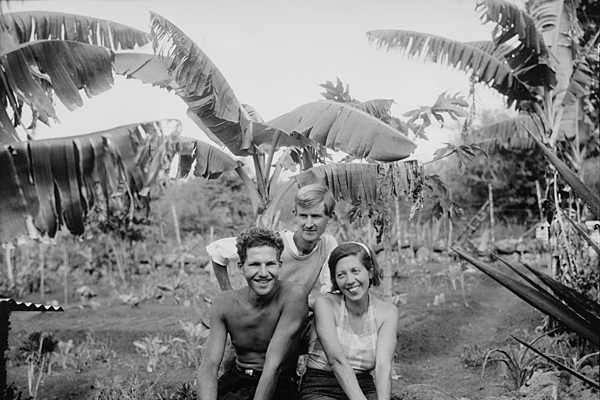 In the 1930’s several mysterious deaths and disappearances among the European community on the island of Floreana put Galapagos in the news. A book by John Treherne about these events contributed to making the Galagapagos Islands famous and a popular tourist destination. 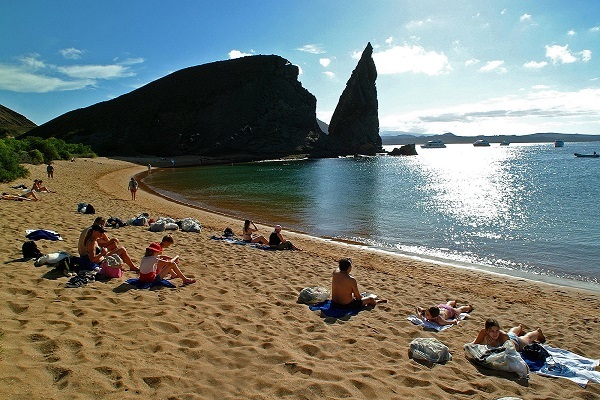 Due to the increase in tourism, the immigration to the islands in the last 20 years let the population on the Galapagos increase at such a high rate. This slowed down when the Ecuadorian government passed a special law limiting immigration to the islands. 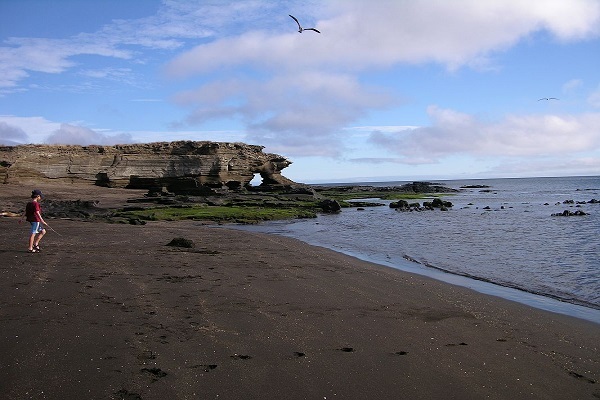 In 1959, Ecuador declared 97% of the land area of the Galapagos Islands as national park. 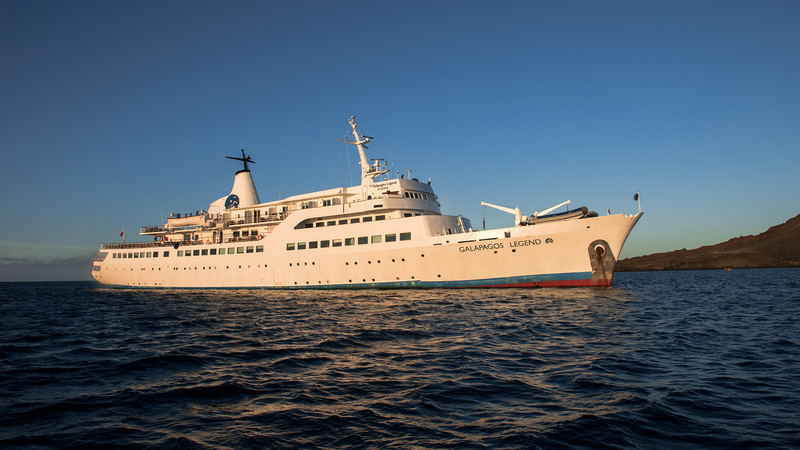 They also introduced the Galapagos Marine Resources Reserve in 1986 to protect the waters around the island. The islands were also internationally recognised as a Man and Biosphere Reserve and as a World Heritage Site by UNESCO in December 2001. 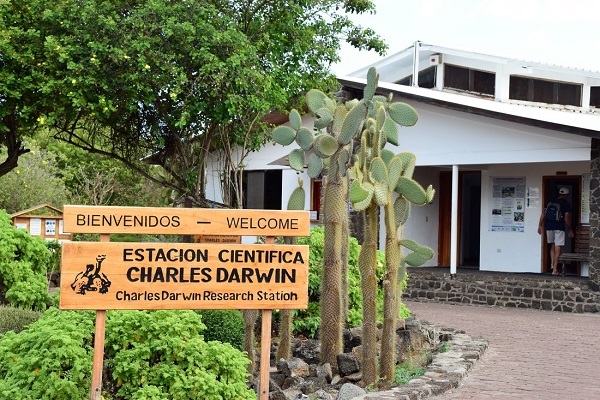 The Charles Darwin Foundation was set up by the Ecuadorian government 40 years ago to provide a solution to the problem of species that were introduced by settlers and which subsequently caused harm to the islands’ fragile ecosystem. 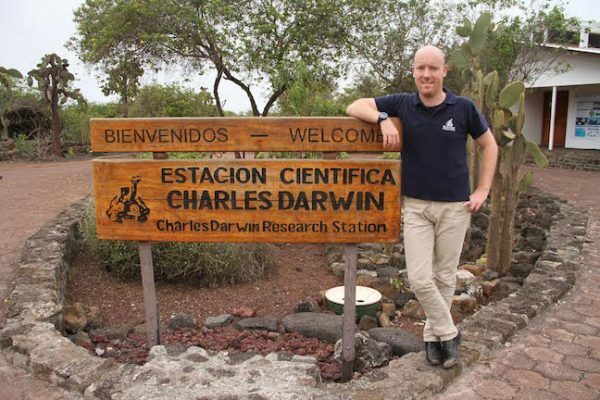 The management of the Galapagos National Park and the Research Station have collaborated closely over the years. The Galapagos Islands are a series of gigantic volcanic peaks, created by the movement of the Nazca plate towards the South American plate at a rate of about seven cm per year. The islands are composed of almost exclusively metaphoric basalt, giving the islands their dark gray color. 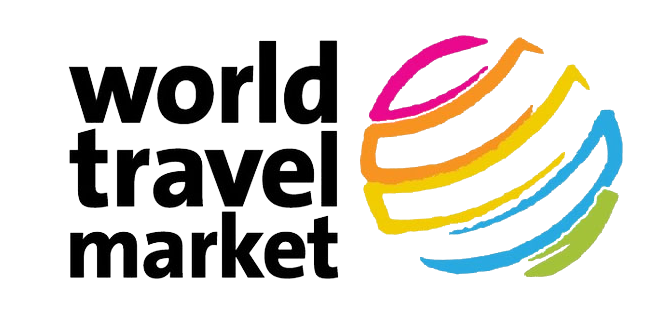 They do, however, differ from almost all volcanic regions in the world, as the Galapagos Islands do not lie on the border of two tectonic plates. 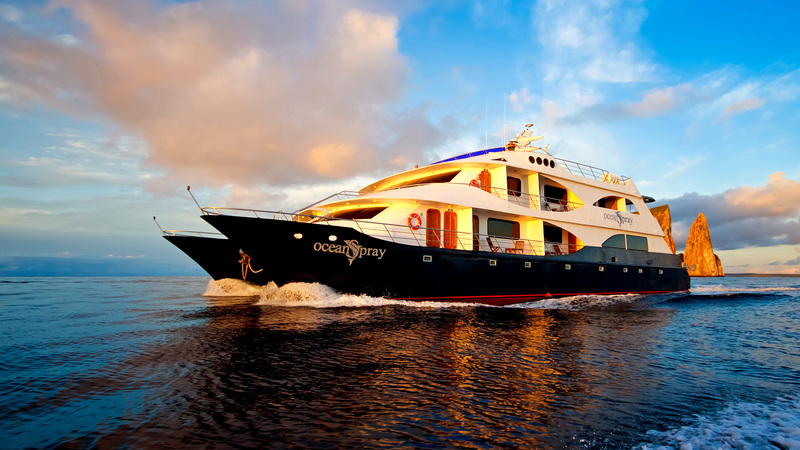 The Galapagos Islands contain the most active volcanoes in the world and eruptions have taken place on Fernandina, Isabela, Pinta, Marchena, Santiago and Floreana. Now the most active volcanoes are found on Fernandina, Isabela, Pinta and Marchena, and volcanic activity may be seen occasionally on each of these islands. The most plausible reason for this geographical phenomenon is known as the hot spot theory. This theory states that the volcanoes are created as a result of magma hot spots, where magma at extremely high temperatures bubbles to the surface to form a volcano. The theory demonstrates why the most easterly islands show the greatest effects of erosion and are the oldest. San Cristobal is estimated between 2.3 and 3.6 million years old. Evidence for this activity can be seen all over the Galapagos as the majority of the Galapagos’ landmass consists of lava flows. Due to the nature of their origins, it is therefore common to be able to see volcanic cones of different shapes and sizes, ranging less then one meter high to the larger spatter cones found on Bartolome. More extreme evidence of the hot spot theory is seen at Urbina Bay on Isabela. Here tectonic activity caused an uplift of landmass in 1954. The islands of Plazas and Baltra are the project of this uplift, where a stretch of reef was raised up by four meters as a result of the magma flowing beneath. The Galapagos archipelago lies in the Pacific Ocean about 960 km west from Ecuador and consists of thirteen large islands, over forty tiny islands and many rocks. 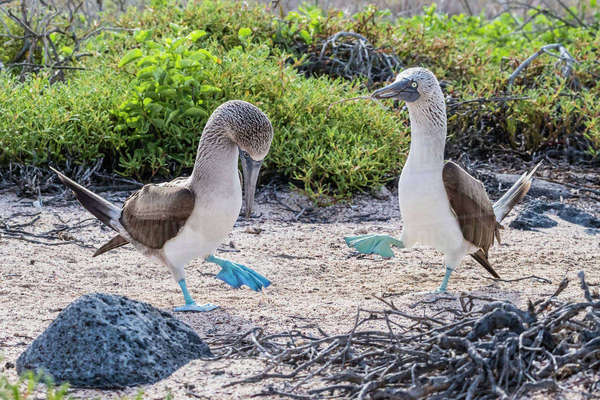 Galapagos is a province of the Republic of Ecuador, although only four of the islands are inhabited, with a total population of around 18,000 people. The capital is Puerto Baquerizo Moreno on San Cristobal Island, but the biggest city is on Santa Cruz: Puerto Ayora. 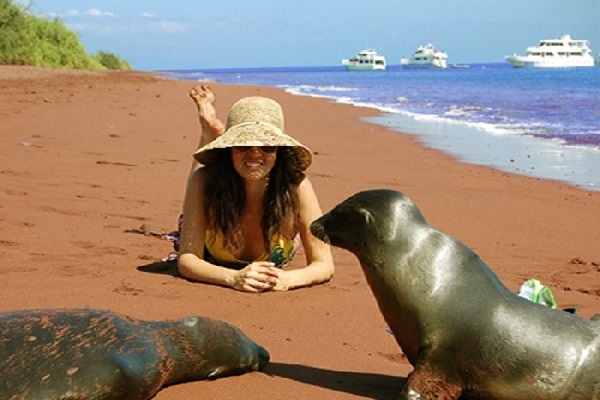 All nature and animal lovers must go to Galapagos. What makes a visit to the islands truly extraordinary is that you can see wildlife very close, since the animals have never learned to fear humans. 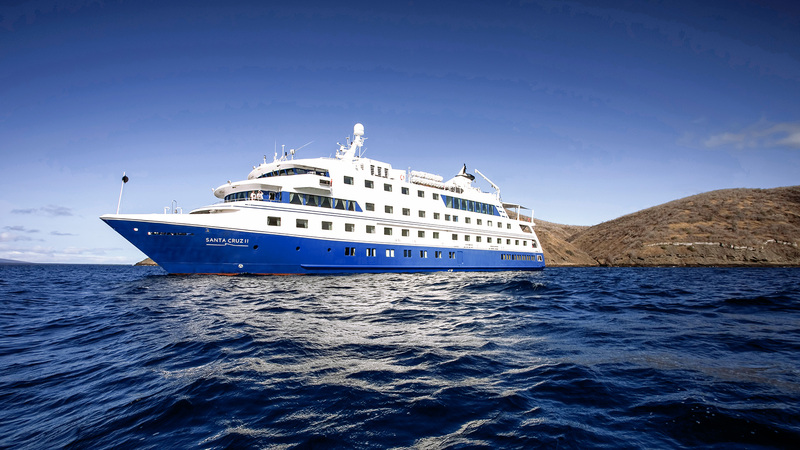 Galapagos island day trips are a great opportunity to see them. 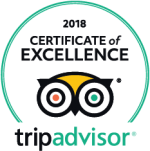 You will have many opportunities to snorkel with sea lions, follow giant tortoises and observe iguanas. The islands are a haven for sea birds and you can find cormorants, gulls, penguin species which live in tropical waters, albatross, blue and red-footed boobies, masked boobies, and frigatebirds. Mammals such as sea lions, seals, dolphins and whales are common. Over 300 species of fish have already been discovered. There are also at least 1,600 species of insects, 80 spiders, 300 beetles, 150 mites, 80 land snails, 650 sea shells and other molluscs, 200 starfishes and urchins, 120 crabs, and many other smaller animals. 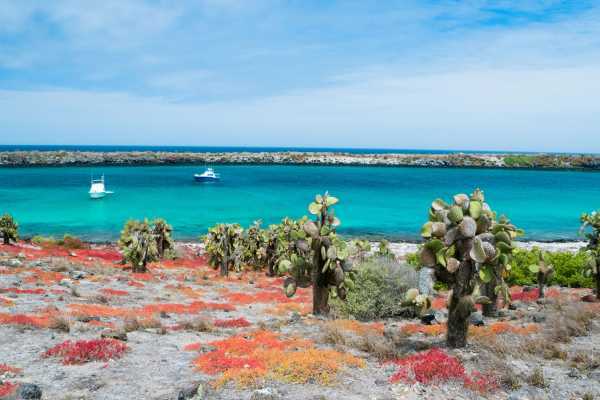 If botany is your thing, then Galapagos is a dream come true, as the plants are as fascinating as the animals. In the highlands you can find many native species such as the Scalesia (‘tree daisies’), tree ferns, bromeliads and orchids. If you wander along the coasts, you won’t be disappointed; there are vivid morning glories, mats of bright red sesuvium, giant prickly pear and candelabra cacti. You can also find tiny Brachycereus cacti growing on the barren lava flows. To the surprise of many tourists, Galapagos also has its own species of cotton, tomato, pepper, guava and passion flower. Bartolome is a small barren island, located in Sullivan Bay off James Island and has a famous spire known as Pinnacle Rock. 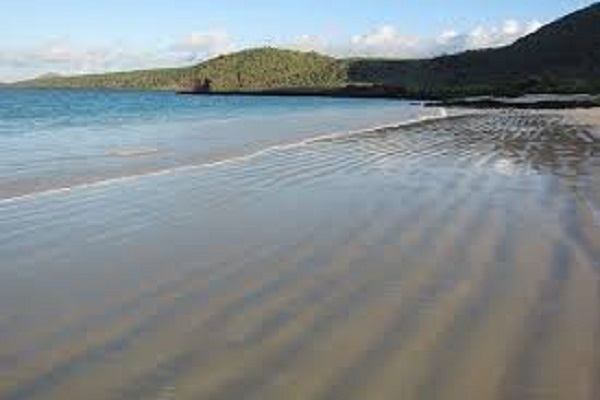 It has two main beaches where you can swim, snorkel and see the occasional penguin. On the larger beach it is possible to climb to the summit of the island, from where you can see different volcanic formations and lava fields. The landscape looks remarkably like the surface of the moon and offers some of the most scenic views on the islands. At the smaller beach, known as East Point, you can enjoy swimming and snorkelling in the clear waters of the Pacific Ocean. You can also take a walk from East Point across the narrow strip of land to the little beach, which faces south, although unfortunately, swimming is prohibited here. You can, however, enjoy the solitude of a usually empty beach. 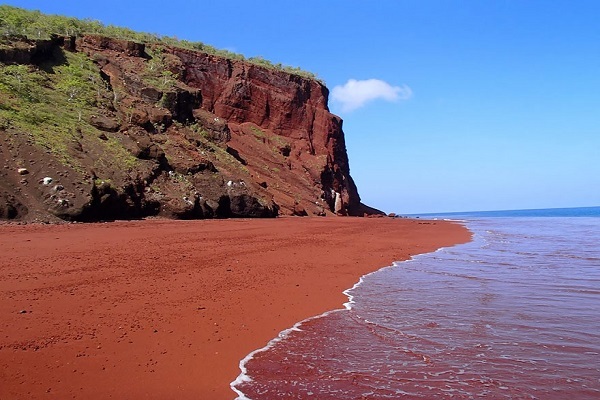 You will be impressed by the 100 year old lava flow which dominates Sullivan Bay. In this area plants grow within the small lava fissures and one of the most interesting sights are the trees that were carried by the lava flow and are now entwined in the hardened lava. The east side of the island has very barren landscape, which is dominated by black pahoehoe (ropy) lava flows. 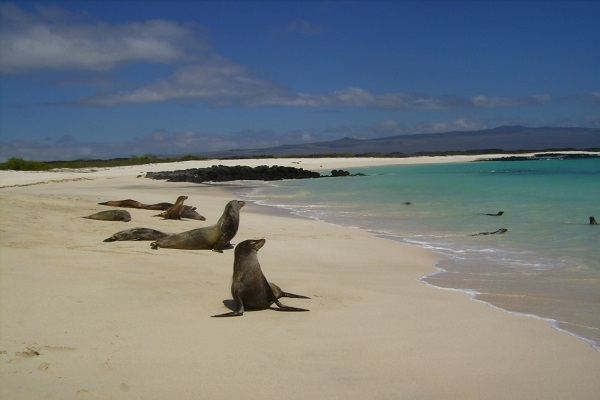 Located at the western end of Española Island, this beach is home to many seals and sunbathing iguanas. The Hood Mockingbirds will come closer to you than most birds do, and they even investigate you. The beach is also a good place to see the spectacular mating dance of the Albatross, when it sets out to find its life-long mate. 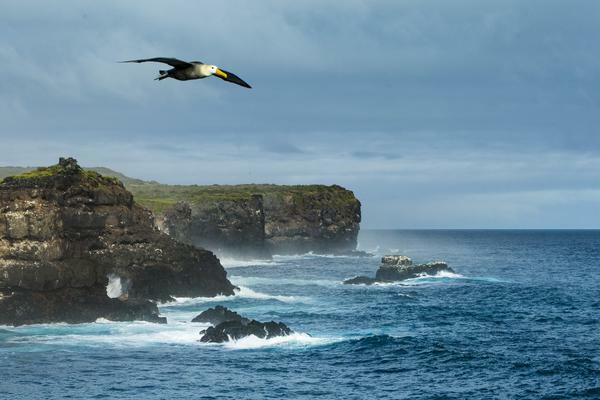 This area boasts one of the most impressive and varied colonies of sea birds in the Galápagos. Along its southern shore, high cliffs rise up from the sea affording the visitor spectacular views of soaring birds and the blow hole, where water spouts up to 50-75 feet into the air according to the intensity of the surf.